Super opportunity! Lovely character home on a large subdividable view lot. Currently zoned RF (single family residential). This property meets the minimum criteria (lot area, frontage & depth) to subdivide into two 65.55' x 98.98' lots under the RF zoning. If re-zoning to RF-13 and a very small variance (frontage 131.1' instead of 132') is applied for & approved it may be possible to subdivide into three 43.7' x 98.98' lots. A very spacious & beautifully kept 4 bedroom family home. You'll love the 2 cozy fireplaces, wood flooring & character accents throughout, front veranda & rooftop deck. 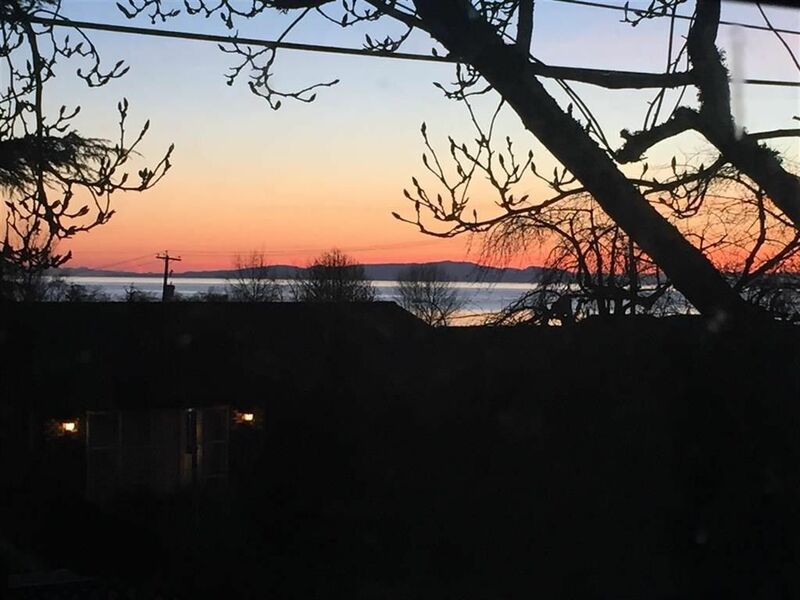 Enjoy the picturesque view of Semiahmoo Bay & the Gulf Islands from both the main & upper floors. Quiet no thru street. Great neighbourhood. Only steps from the beach & all White Rock has to offer. Move in, hold or develop. Excellent value!